I've been a busy bee over here. You'd never know it from how quiet I've been, but when I'm silent it's usually because I'm knee-deep in writing. And boy, have I been! I'm taking part in a contemporary romance anthology through my new publisher. It's military themed and will contain a collection of short stories with the same theme. Also, I am currently about 70% through my first full-length contemporary romance novel. 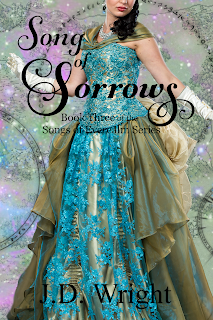 I've never written contemporary before so it's a big change from fantasy and paranormal. I'm also playing around with 1st person POV and learning new writing methods. July 11, 2017 - Craving: Soldiers Anthology will be released! August 15, 2017 - Masked will be released! - I'm still waiting on the cover and will start working with the editor mid-June. - As soon as ARCs are available, my ARC team will be the first to know! 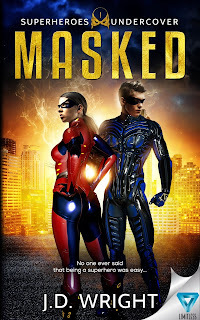 - I'm over halfway through the second book of the Superheroes Undercover series. I've paused in writing but will pick it up after my editor and I finish working on the first book. - At around 70%. This was actually supposed to be another anthology submission (holiday themed) but once I got started, I just couldn't stop at 10,000 words! It's a fake date romance set in the South. - I'm on Chapter 17 at the moment. I am tweaking the plot a bit for the next book-and-a-half to add more variety to the storyline. Turns out, a short break from Everealm was exactly what I needed to get my creative juices flowing! Don't forget to join my mailing list if you haven't already. It's on the right side of the page, at the top. When it gets closer to Masked's release date, I will start sending out newsletters more regularly.